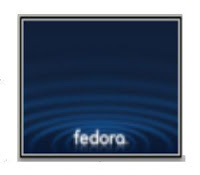 How to install Fedora core 9(Linux On Computer as 2nd operating system ? 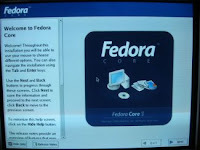 Step 1:Insert DVD/CD of Fedora and restart the system/computer. 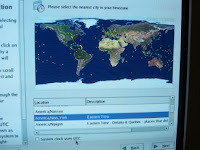 Step 3 :Welcome screen will come . Step 13:Now critical time has come for Partition on your hard drive/disk when ypu need to make partition on free space of your hard disk..
1:remove all partition on selected drives and create default layout(most dangerous for Xp). 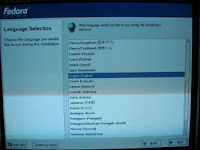 2:remove linux partition on selected drives and create default layout(most dangerous for Xp). 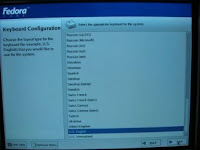 3:resize existing partition on selected drives and create default layout(most dangerous for Xp). 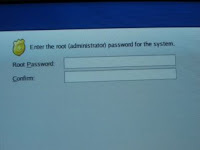 4:use free space on selected drives and create default layout(most dangerous for Xp).